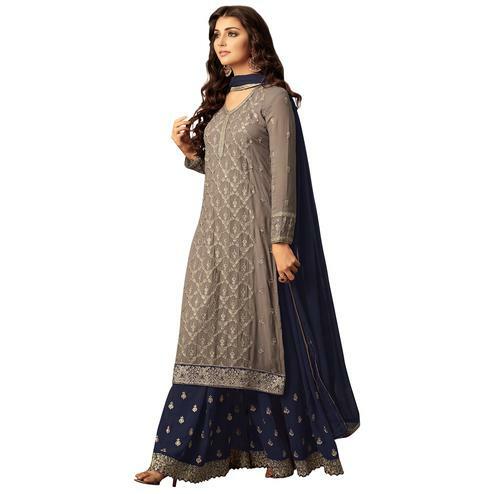 Add a touch of elegance to your ethnic looks wearing this midnight blue designer suit. 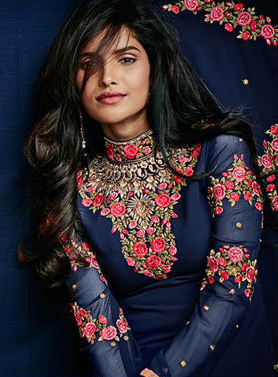 The floral embroidery & contrast lace border work done within the attire personifies the entire appearance. 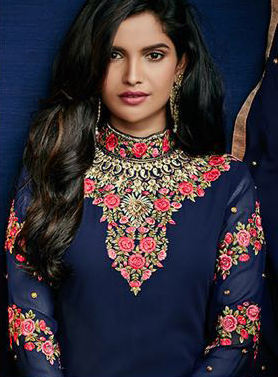 This outfit is best for festivals, functions & Parties. 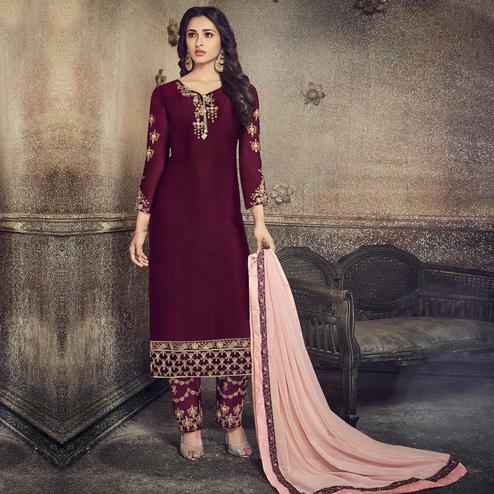 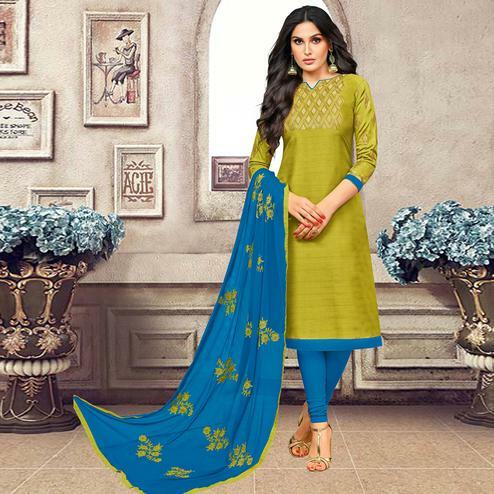 Comprises of semi georgette top, santoon bottom, santoon inner & chiffon dupatta.